Judie received her basic dance training in Philadelphia with Peter Conlow and Gertrude Eggleston. After graduating from Millersville University with a B.S. Degree in Elementary Education, she taught second grade and opened her first dance studio in Manheim, PA. As a young mother of three, she discovered the challenge of teaching dance. She has choreographed and performed leads in "Finian's Rainbow," "Pajama Game," "Oklahoma," "Stop the World I Want to Get Off" with Treat Williams, "Anything Goes," and "Damn Yankees." Following her move to Oregon, she opened Laurel Valley School of Dance (Hillsboro) in 1976, LaPine Dance Academy from 1990-1993, and Sunriver Dance Academy in 1996 - present. She continues to teach ballet and tap as well as singing with her husband, Claude, at First Presbyterian Church, Bend. 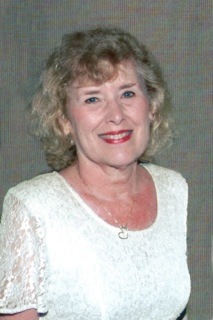 Judie has judged "Dance Magic" pageants in the Northwest for over 25 years. She values the inspiring relationships spanning nearly 40 years with children, parents, and her awesome staff members. Anguelina has been trained in ballet, character, and music in her hometown of Kazan, Russia as well as Central Oregon School of Ballet, Valerie Holger’s Academie de Ballet Classique, Ballet North West Academy, Victor School of Performing Arts, also with Tatyana Martyanova, Vera Mihailovna Zakamskaya, & Kazan Choreography Academy. She has achieved Bachelor degrees in Psychology and Human Physiology and a minor in dance at the University of Oregon. In Canada, she completed rhythm and musicality courses and currently is instructing and choreographing for Velocity Dance Theater, Academie de Ballet Classique, and Ballet North West Academy. Anguelina truly enjoys sharing her love of dance with others. She is also a volunteer at the Humane Society of Central Oregon. At Sunriver Dance Academy, she will teach Ballet I, Ballet III, Ballet IV, and Beg. Pointe. We are pleased and privileged to add this remarkably talented young dancer to our staff. A lifelong dancer from the Chicago area, Sara Jo (Zweena) began teaching dance in 1997. She is a former Fort Wayne Dance Collective instructor and founded the celebrated Troupe Taleeba (Indiana). She currently directs the South County Hipsters and Little Hipsters. She has soloed on several notable stages including the Embassy Theater (Indiana), the Fort Wayne Performing Arts Center, the Tower Theater (Oregon), Les Schwab Amphitheatre (Oregon), and the Chicago Civic Opera House. In 2003, she choreographed the Lyric Opera of Chicago's production of Thais and performed in the production as a principal soloist. She also choreographed Thais for the Metropolitan Opera's 2008/2009 and 2017/2018 seasons. The production was broadcast live in movie theaters worldwide as part of the Met Live in HD series and airs on PBS's Great Performances. Sara Jo is a graduate of New Trier High School and first learned to choreograph in their acclaimed performing arts program. She holds a BA in American Studies from Wellesley College and a masters in education from Harvard University. She is a member of the American Guild of Musical Artists and is a founding member of the High Desert Bellydance Guild. She is happiest when teaching ballet and bellydance, learning tap, and homeschooling her two children. ​Local hip hop dancer Karissa Shafe brings fun and energy to every class she teaches! Karissa has been dancing since she was three and is an accomplished competetive dancer. She has danced at nationals in Las Vegas, at Disneyland, at Trail Blazer games, in parades, and in many other exciting venues. She is trained in hip hop, ballet, lyrical, and jazz. She comes to us from the Vibe and La Pine Dance. We welcome Chelsea to SDA where she will teach tap and lyrical. Chelsea has participated in many dance competitions over the past ten years. Her favorite styles of dance are lyrical, hip hop, and tap. She has recently been admitted to the COCC nursing program where she is studying to become a nurse practitioner. Her hobbies are painting, hiking, and reading. Lauren Dovolis has been dancing with the Sunriver Dance Academy since 2009. During this time, she has studied ballet, tap, and bellydance. Lauren has been dancing with The South County Hipsters under the direction of Sara Jo Slate for 9 years. She fell in love with bellydance for its history, beauty, and sisterhood and is excited to share this with other dancers. Lauren studied drama and acting in England and has been part of our community theater as an actor and choreographer. She enjoys combining the art of dance with the expression of theater and hopes to teach others her passion. Katie Buchanan is 31 years young with a passion and curiousity for life and laughter. She is always searching and creating new ways to express the many layers of herself through art. She started dancing at the Sunriver Dance Academy at the age of 8 with ballet and tap, and has moved through a multitude of dance styles since. She has spent the last 6 years in Eugene studying dance at Lane Community College and joined a professional dance company for 4 years. She is happy to be home and ready to share her experience with growing dancers. Her goal is to inspire and be inspired by the powerful expression dance is, and she believes that the art of movement and emotion have limitless possibilities.